ŠKODA presented the all-new compact Scala model in 2018. In addition to the Kamiq SUV, which was launched in China, additional derivative models of the Kodiaq and the upgraded Fabia were also presented. The models offered by ŠKODA are synonymous with smart understatement, featuring a superior spacious interior, highest standards of functionality, excellent value for money and a distinct design. Added to that are a number of “Simply Clever” ideas and new digital services, all aimed at making customers’ lives easier. In 2018, ŠKODA launched their extensively enhanced Fabia. With the world premiere of the Scala, which will celebrate its market debut in 2019, ŠKODA has completely redefined its compact segment. The new compact model is the first series-produced vehicle to reveal the next step in the development of the ŠKODA design language, which will shape future ŠKODA models. New sculptural shapes, dynamic elements and attention to detail give the Scala its strong identity. The Kodiaq GT is the Czech brand’s new top model in China. It is the first vehicle in ŠKODA’s SUV segment that combines the robustness and versatility of an SUV with the sporty elegance and dynamic features of a coupé. China also saw the launch of the Kamiq. This city SUV offers the ultimate in connectivity for young urban customers who want to be always online even on the go. The dynamic Kodiaq RS – the new top model in the brand’s SUV portfolio – is also the first SUV in the sporty RS family. Thanks to its extraordinary on- and off-road performance and markedly powerful design, it meets all the requirements of a steadily expanding target group for powerful SUVs. The VISION X and VISION RS vehicle concepts with plug-in hybrid technology revealed in 2018 embody ŠKODA’s future orientation and form the basis for the series-produced models to be launched in 2019. Global deliveries by the ŠKODA brand in 2018 amounted to 1.3 million vehicles (+4.4%), thus reaching a new record. China was once again the largest single market: deliveries there were up by 4.9%. Sales rose by 1.8% in Western Europe and 9.6% in Central and Eastern Europe. ŠKODA sold 957 (937) thousand vehicles in 2018, outperforming the previous year’s level. The Kodiaq and Karoq models were particularly highly sought-after. 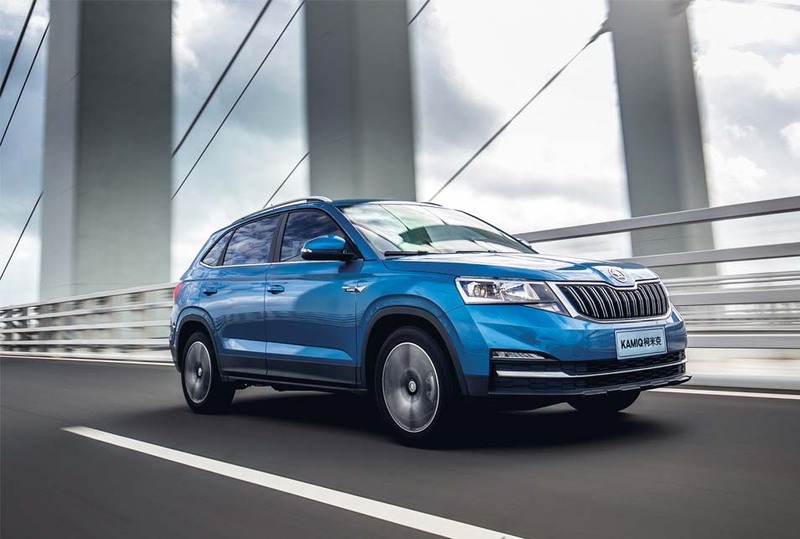 The difference between figures for deliveries and unit sales is mainly due to the fact that the vehicle-producing joint ventures in China are not attributed to ŠKODA brand companies. 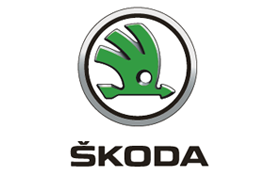 ŠKODA manufactured 1.3 (1.2) million vehicles worldwide in 2018. The one-millionth SUV was produced at the plant in Kvasiny, Czech Republic. At €17.3 billion, the ŠKODA brand’s sales revenue in 2018 was 4.4% higher than in 2017. Operating profit fell by 14.6% to €1.4 billion; the decline mainly resulted from negative exchange rate effects, negative impacts resulting from WLTP, a rise in personnel costs and higher upfront expenditure for new products. Meanwhile, growth in unit sales, product cost optimization and improved price positioning had a positive impact. The operating return on sales declined from 9.7% in the previous year to 8.0%.